On November 30th, 2018 at my farewell symposium and speech at Eundhoven University of Technology, I was pleasantly surprised to receive a royal decoration from the major of my city Stichtse Vecht to recognize me for my contributions to the (inter)national practitioner and academic communities in purchasing and supply management. 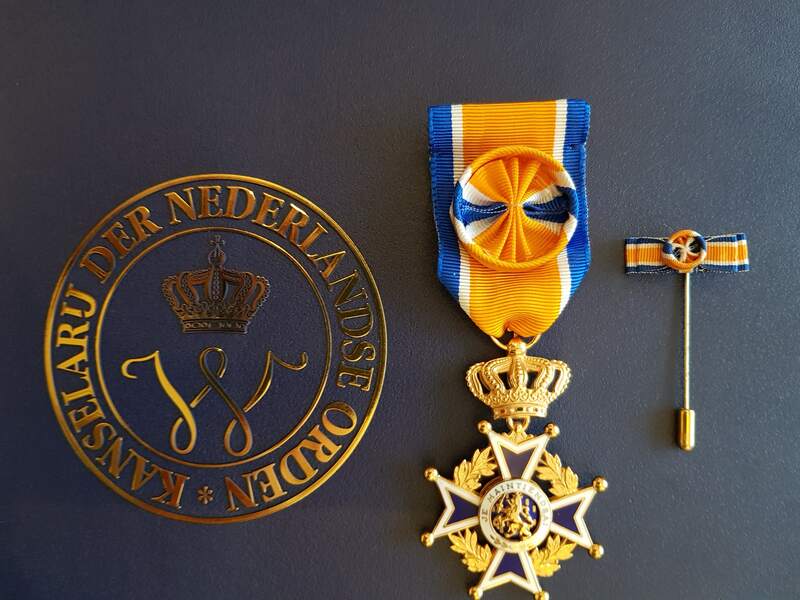 I was nominated as Officer in the Order of Oranje Nassau, which was a great way to end my university career. 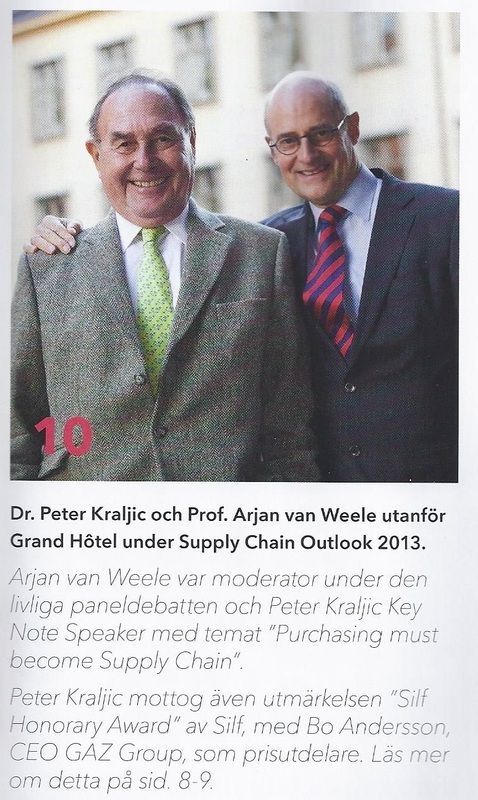 On October 9th, 2018 NEVI's Board of Management awarded the NEVI Honorary Membership to prof dr Arjan van Weele for his outstanding contribution to the purchasing and supply management profession and community in The Netherlands and abroad. The Award states: 'In sincere appreciation for the extraordinary contribution to the advancement of Purchasing and Supply Management as an academic discipline'. 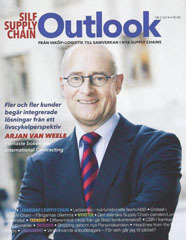 • NIMA Prisen from NIMA (Norwegian Purchasing Association) for outstanding contribution to the field. 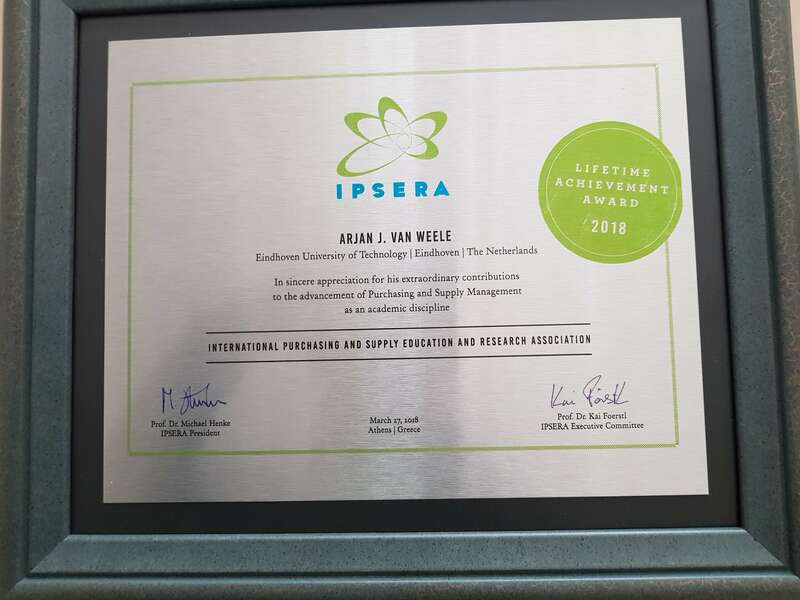 • Hans Ovelgonne Award, International Federation of Purchasing and Supply Management, for outstanding contribution to the profession. ‘Best Professor of the Year’ by the students of the International Purchasing and Supply Management MBA-program, European Institute for Purchasing Management (EIPM),Geneva. • Best Teacher Award, Faculty Technology Management, Eindhoven University of Technology (2002,2003,2004,2005,2006).